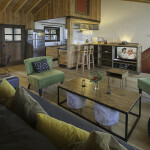 Casita Hillside is a 750 square foot independent house that sleeps up to 4 guests.The Master bedroom has generous closet space, a queen bed with Egyptian cotton sheets, down comforter and black out curtains. 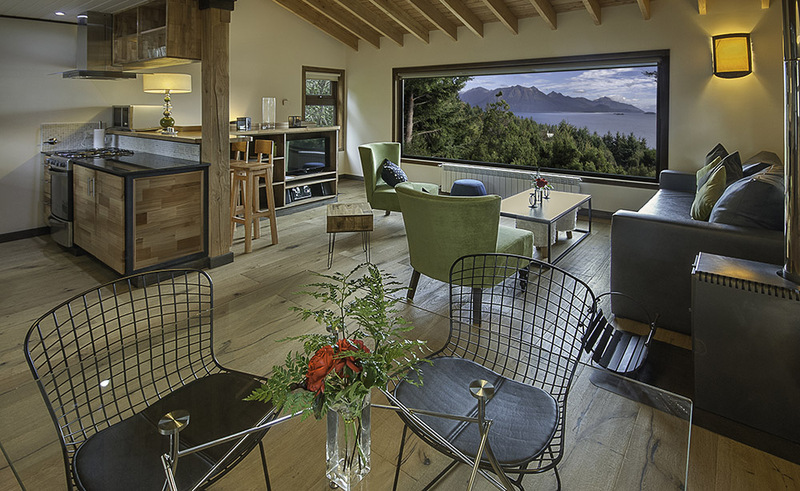 The living room, dining room and kitchen are upstairs and all enjoy the double-paned 11.5 x 5.5 foot picture window. 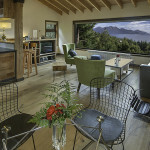 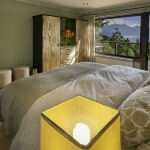 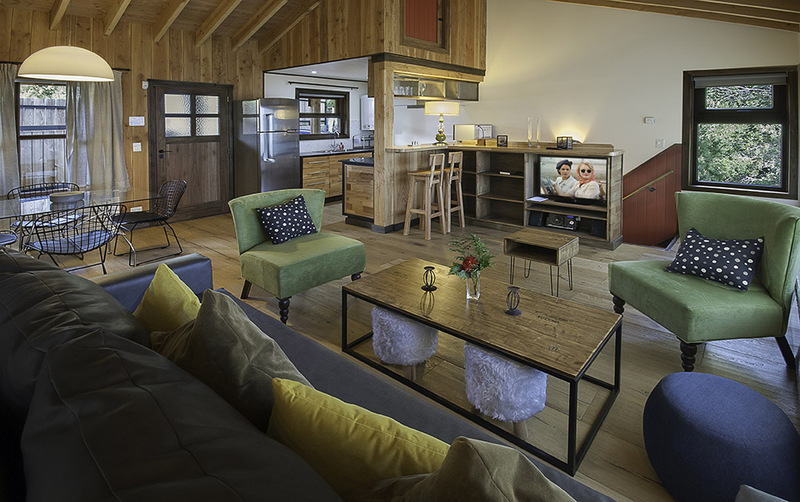 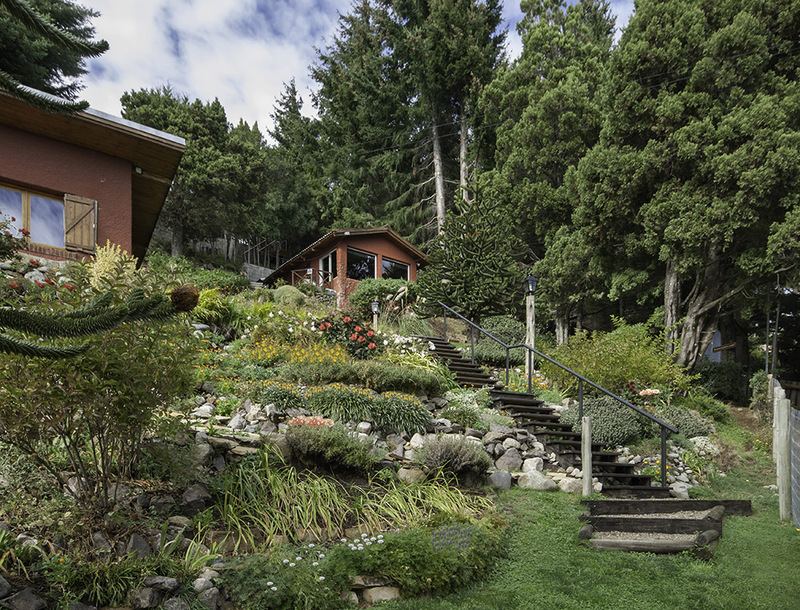 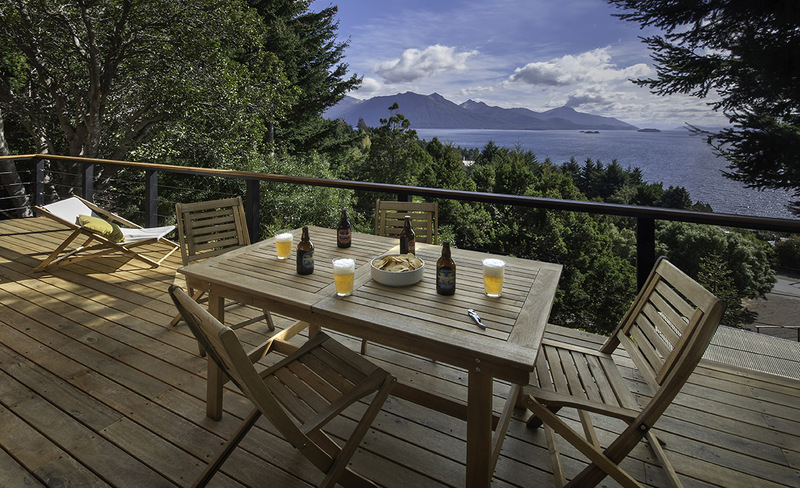 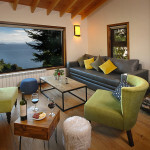 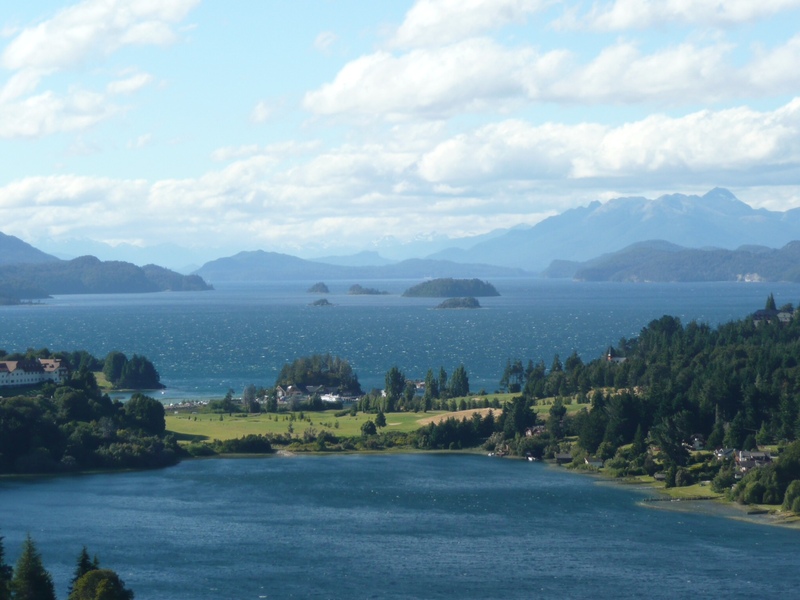 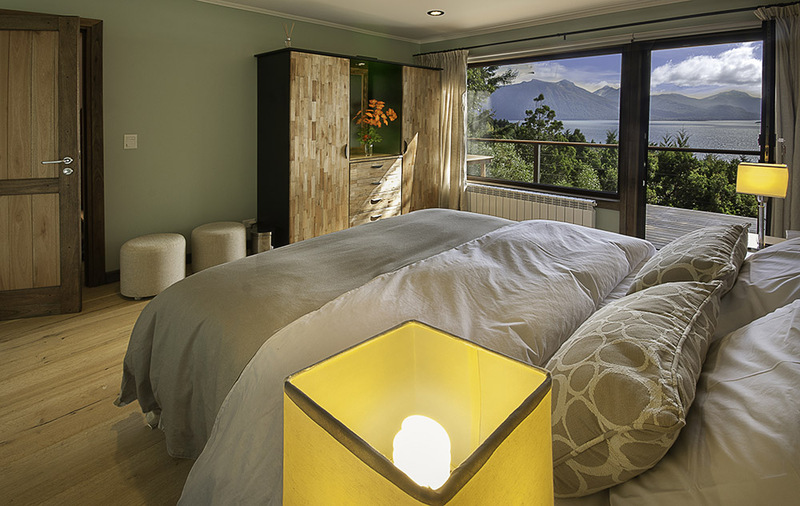 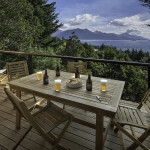 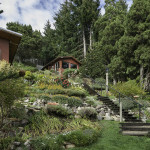 The atmosphere is cozy, comfortable and modern with a wood burning stove and incredible views of the lake Nahuel Huapi. 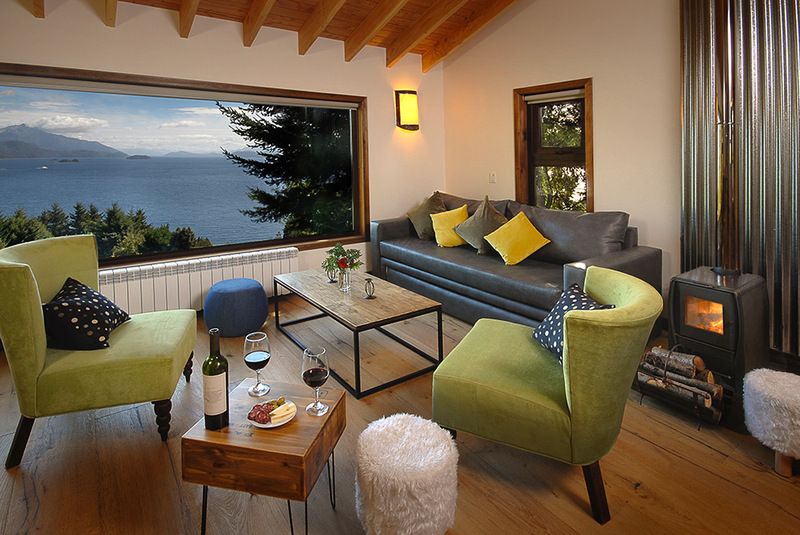 The living room has a large comfortable sofa that turns into a double or two single pull out beds plus two large reading chairs for enjoying the view, the wood burning stove and watching some TV. 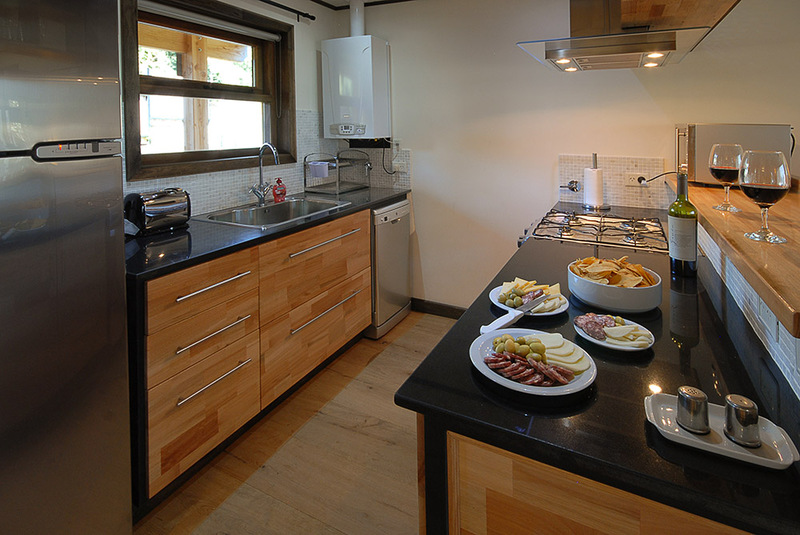 The dining room sits up to 4 people and the kitchen is very comfortable to use especially if you like to cook! 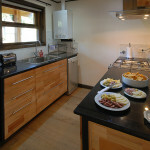 The kitchen has all new appliances and is fully equipped. 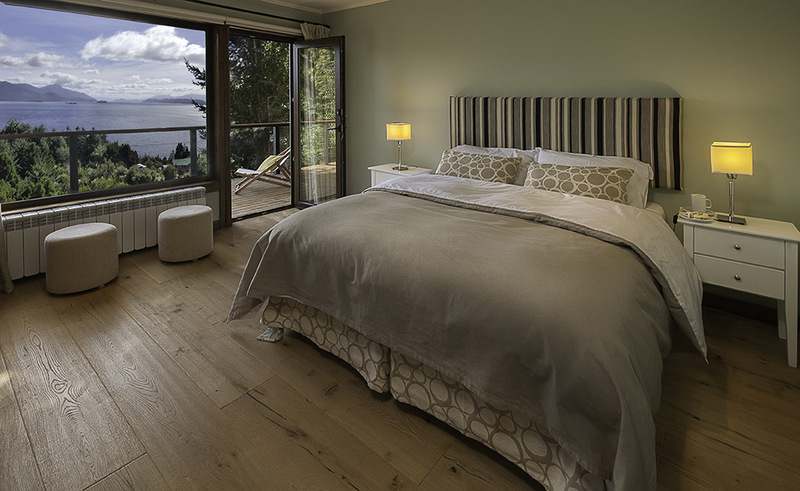 The house was built in 2014 and hardwood floors were installed both upstairs and in the downstairs bedroom. 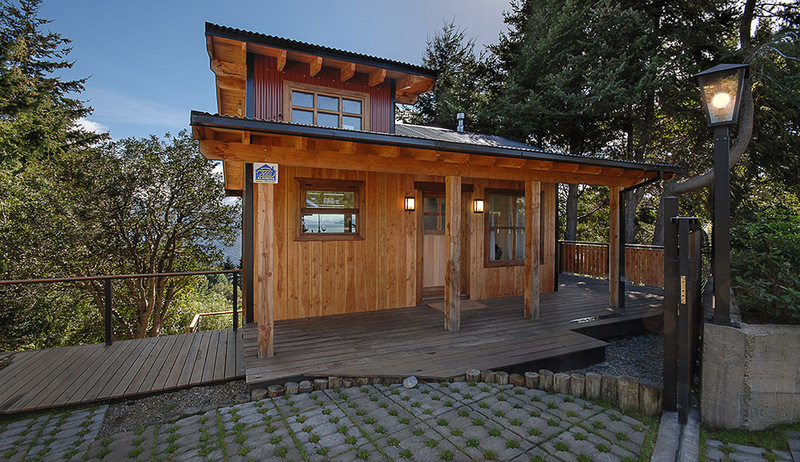 The bathroom is tiled with a walk in shower and built in bench. 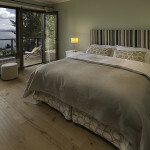 The house has reliable wireless high-speed internet, a flat-screen TV with Direct TV service, a stereo system that is IPOD adaptable, an alarm system and a new washing machine with built in dryer. 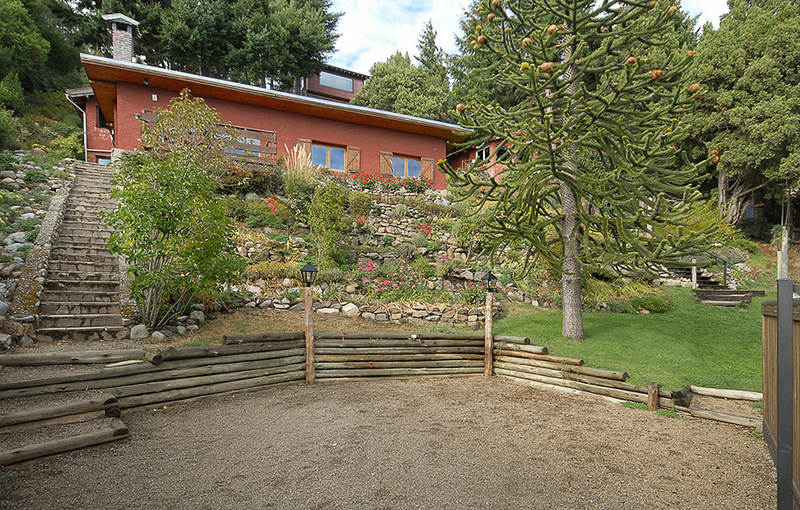 The Casita Hillside has a very private feel to it with an upper and lower garden, a huge deck and a lawn area with an outdoor dining table and a BBQ. 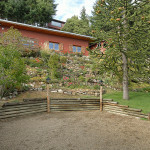 The Casita Hillside also has a private 1 car parking area inside the fenced property. 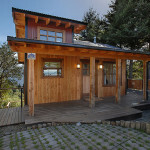 The house is very close to a bus stop.